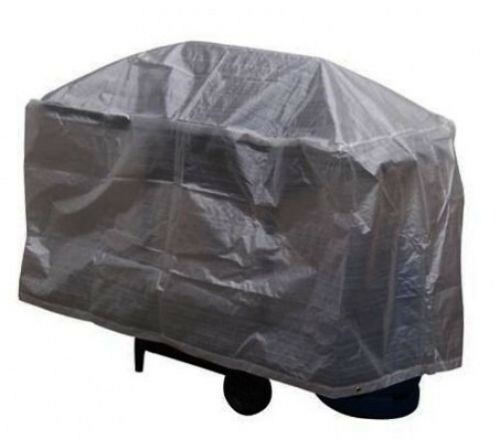 Brand New Large BBQ Grill Cover High Quality Waterproof barbecue Grill cover made designed to keep your Barbecue safe from Rain, Dust, Leaves Generally keeps it clean throughout Any Season. Measures 1220 x 710 x 710mm Standard fitting which will be universal for most average sized BBQ Sets Made from High Quality 100g/m2 transparent polyethylene. Keeps barbecues clean and dry when not in use.